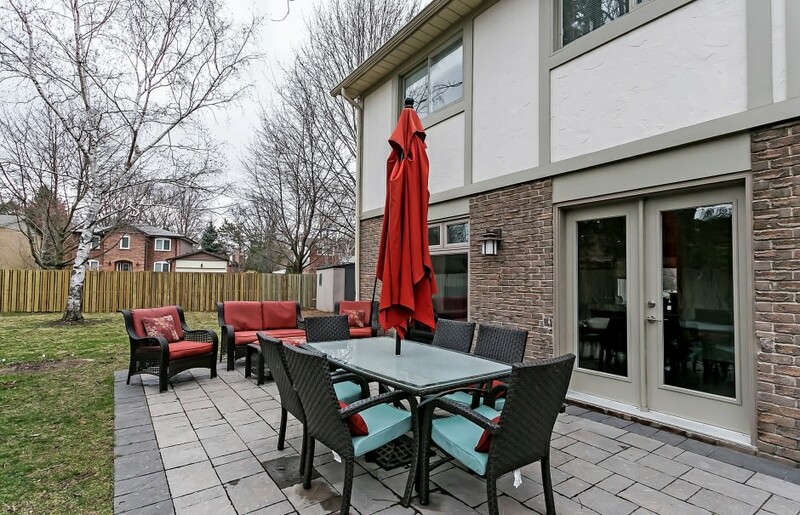 Absolutely spectacular executive style family home in prestigious South East Oakville on a quiet ‎court! Over 3,325 square feet of living space on three levels! Fully and recently renovated from top to bottom, this home is sure to please with its clean contemporary lines and quality finishes throughout! Fabulous center hall floor plan allows for seamless flow throughout the home. 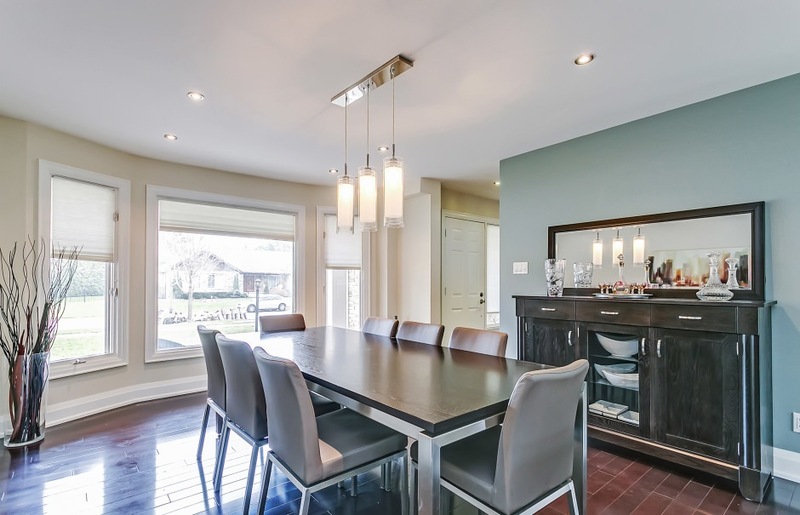 Main level family room is open concept to the gorgeous gourmet kitchen and the generous dining room, all with rich dark hardwood flooring throughout. Stunning and sleek best describe the kitchen, boasting contemporary style cabinetry with ceasarstone countertops. Center island with breakfast bar and 5 burner gas cooktop. High end appliances and generous seating areas. Bright and sunny walk-out at ground level to a lovely stone patio area and oversized backyard with plenty of room to play and plan for a future pool. The second level offers four good size bedrooms hardwood throughout. The master is spacious and elegant with vaulted box ceiling, massive walk-in closet and stunning ensuite bath. 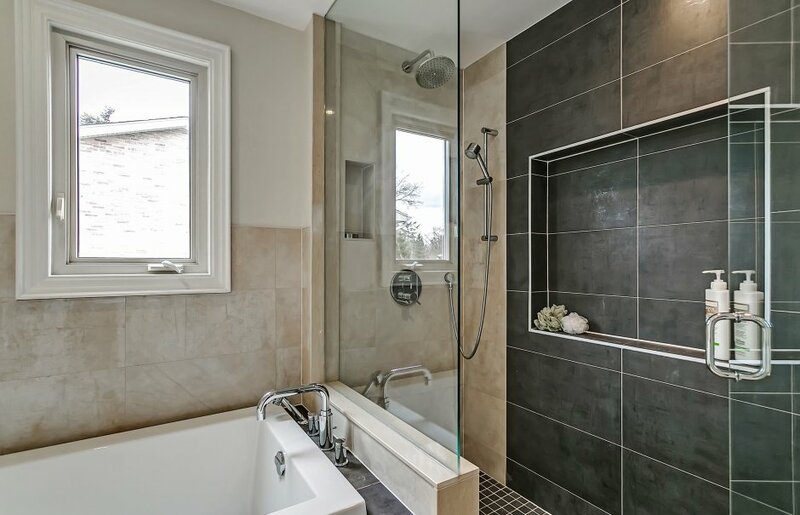 The main bathroom delights with marble flooring, floating cabinetry and rainhead shower. The fully finished lower level allows full sunlight through deep set window wells. 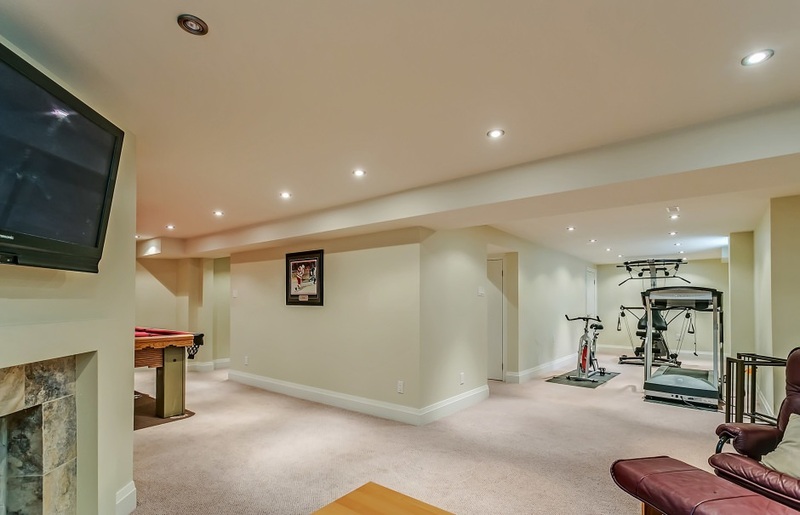 Gorgeous wood burning fireplace is the focal point for the games room and recreation room. Full three piece bathroom completes this space. Arguably the most desirable location for custom home building in Oakville, this area is lush with 100 year old trees, large lots offering loads of privacy, and a tranquil, Muskoka-like feel to the community. Typical lots are 100 ft wide by 150 ft in depth, though ¾ of an acre is not uncommon. Builders and individuals looking to construct their dream homes can expect to pay between $1,500,000 - $3,000,000 on these prime plots of land.